Duterte's loyalists are at it again! Case in point: A certain Facebook user named Latigo Rapper recently posted a song he came up with about the feisty mayor, to the tune of Katy Perry's "Roar." 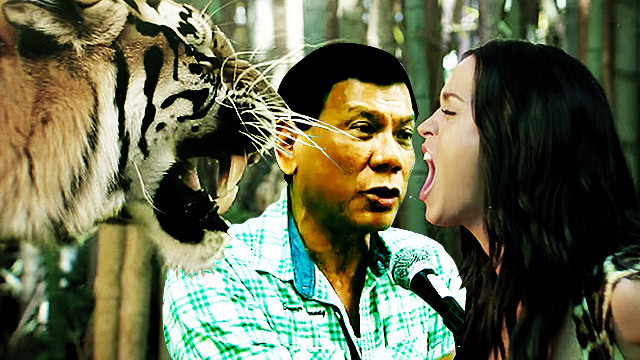 Comparing Duterte to big cats, a superhero, and perhaps, even Manny Pacquiao? "Kokontrahin niya ang krimen, korapsyon?" If that ain't straight-up ballyhooing, we don't know what is! Ready to get your "ROD" on? Click play on the video below!